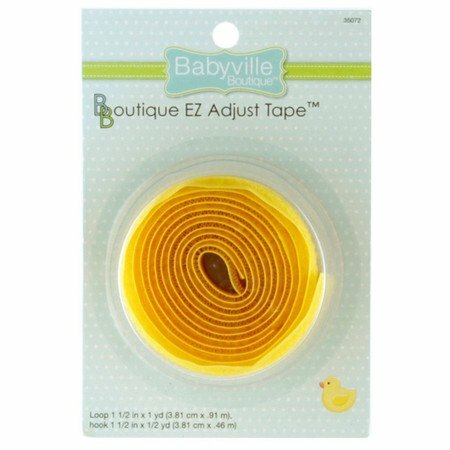 EZ Adjust Tape makes a quick & easy adjustable closure for all your projects. 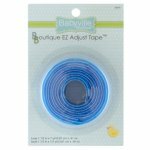 Secure EZ Adjust Tape in place with transparent tape-sold separately-to prevent shifting when sewing. Stitch Hook/Loop pieces in place using a straight or zigzag machine stitch. Refer to diaper pattern-sold separately-for complete instructions. Machine warm wash-tumble dry medium heat. Do not bleach. Use laundry tabs or fasten hook and loop before laundering. After sewing-seal needle holes in PUL by placing in clothes dryer on high heat for 20 minutes. Use good quality polyester thread for sewing seams and trim to deter-wicking-of moisture from diaper.